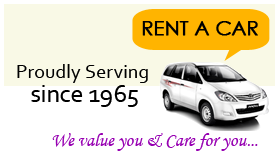 We offer range of packages for long and short journey. Educational tours – The best destinations for children with historic, educational importance and fun. Honeymoon packages: We offer the most romantic destinations for the newly wed.
Pilgrimage packages: we offer the most divine, peaceful, holy destinations for the refreshment of the soul. Mangalore local: St.Aloysius Chapel, Tagore Park, Kadri Park, Kudroli Gokarnath Temple, Kadri Manjunath Temple. Mangalore – Madhur Ganapathi Temple, Bekal Fort.